We’re turning back time this week with stories that mix the past and present, extensively. It’s a marriage of flashbacks and (pre-)Flashpoints. While the first book incorporates flashbacks into the current storyline, the second is part of a larger publisher event that forces completely different timelines to interact. From Eight O’Clock, the Central Highlands dark roast blend available in store or online, is a complex and slightly spicy coffee that will help you navigate the time differences with ease. Dark roast coffees, in general, tend to have a more bold flavor — though slightly lower caffeine content — than medium or light roasts. All-New Hawkeye #2, written by Jeff Lemire and illustrated by Ramón K Pérez, follows Hawkeyes Clint Barton and Kate Bishop. However, the issue is largely centered around the senior of the two. While both are working to extract a surprising — and horrifying — weapon from the wrong hands so everyone can get back safe and sound to S.H.I.E.L.D., the story fades in and out of flashbacks that detail Barton’s origin story. Barton’s backstory is emphasized and flushed out. The “kid running off to the circus” bit is instead written as the circus finding the kids and bringing them in to protect them. The story blends the past and present brilliantly. 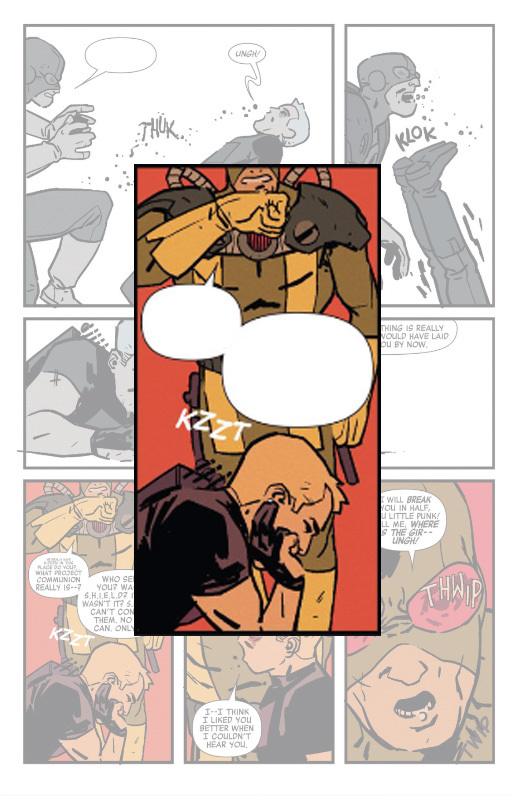 The mix of new and old Hawkeye as a working duo nods to the transitions between present storyline and flashback. Convergence: Batgirl #1, written by Alisa Kwitney and illustrated by Rick Leonardi, Mark Pennington and Steve Buccellato, the story follows Stephanie Brown’s Batgirl in DC’s newest “Convergence” event. The general event is a Brainiac experiment where different areas within different timelines are taken out of their original spheres and forced to interact. In other words: It’s a great, big, mishmash crossover event that utilizes the major storylines in DC history — from both before and during the New 52 reboot. It makes for an interesting storyline that mixes past and present. It also gives DC fans that read pre-52 a chance to revisit characters and storylines that they enjoyed in a new setting. As is the case with Batgirl in a Pre-Flashpoint Gotham, with the help of Red Robin and Black bat — a personal favorite pre-52 trio, actually. After their specific Gotham is snatched up and left to float in the final frontier, the chaos that ensues from having a city trapped in one small, singular space-cage drives Brown to hang up her cape. A year later, Brown is named as the champion for Gotham, and is slated to fight another timeline’s champion for dominance. Brown is left suffering from severe consciousness. 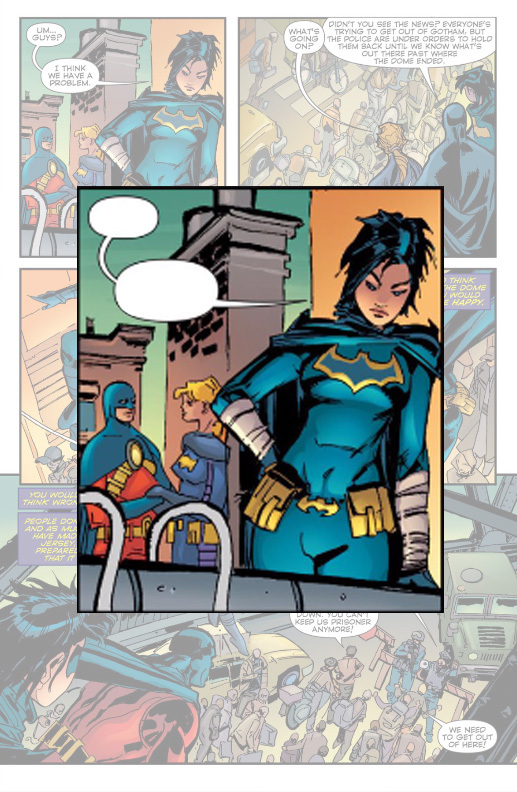 She’s worried that after being out of the game for a year that she’s not good enough anymore, and that Pre-Flashpoint Gotham might suffer for it. Central Highland’s complex flavor will help you keep time with the intricacies of past and present. Its spicy notes will keep you up at all hours so that no matter where you are in the timeline, you’re prepped and ready to keep reading.